Hello friends! After the immense success of “Wreck-It Ralph”, Disney is back with the sequel, “Ralph Breaks the Internet”. In this movie, the adorable duo Ralph and Vanellope enter the expansive world of the internet to search a missing part that can save Sugar Rush. But that’s not easy! On the way, they encounter online auctions, pop-up ads, all the Disney princesses and even an online driving game, which make their mission extremely difficult. So will they make through it or will they get tangled in the world of web? We will get to know about it only after the release of the movie. 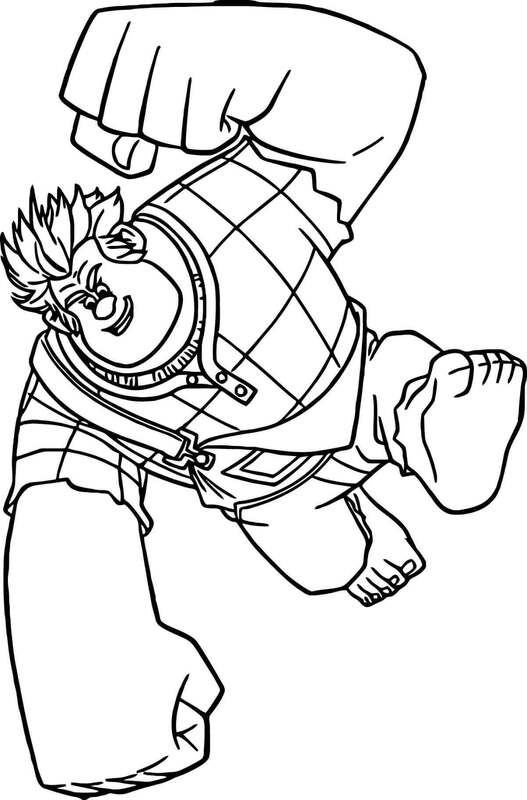 Until then, you guys can have fun filling these free printable Ralph Breaks the Internet coloring pages. 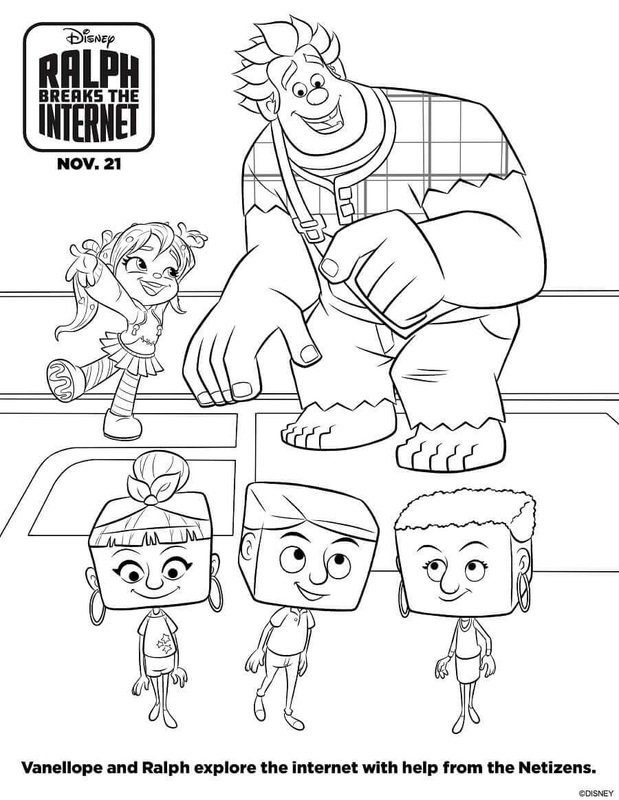 Check out our small, but cute collection of free Ralph Breaks the Internet coloring sheets to print below. 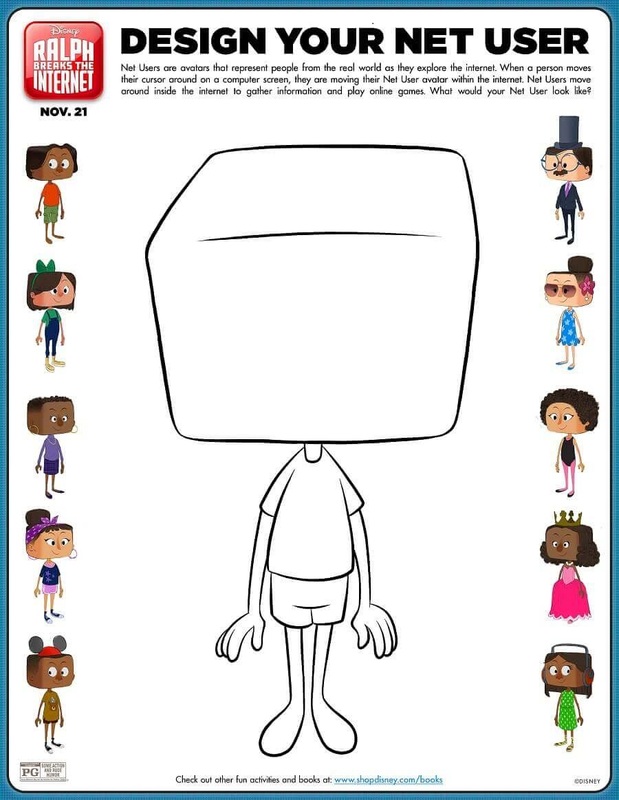 We’re starting the list with this interesting Ralph Breaks the Internet activity sheet. The activity sheet shares a trivia on net users, who are basically avatars that represent humans from the real world. A net user typically uses the internet to play online games or gather information. This activity sheet allows you to create your own net user. Isn’t that awesome. 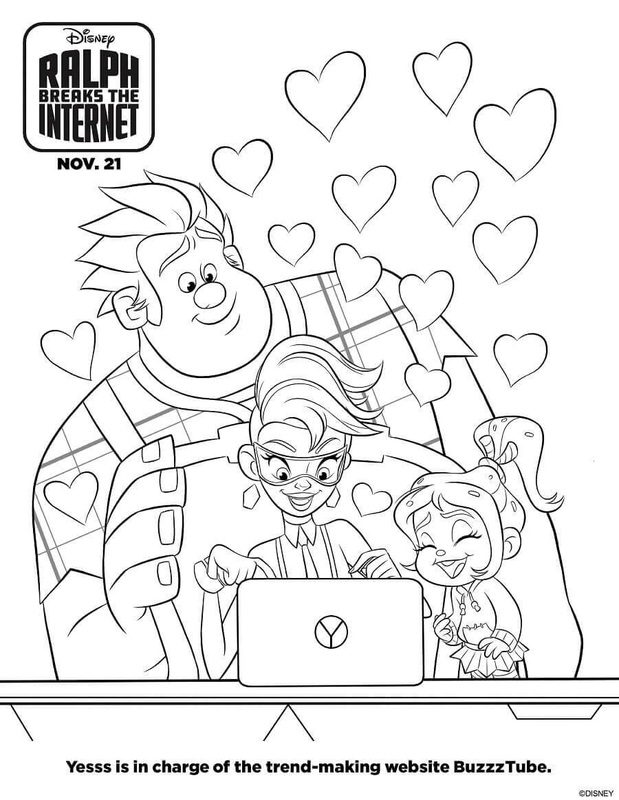 This coloring sheet shows Ralph and Vanellope exploring the internet with the help of the Netizens. The duo relies on the Netizens to navigate their way through the internet. We totally adore the netizens featured here, especially the girl with hoop earrings and winged liner. 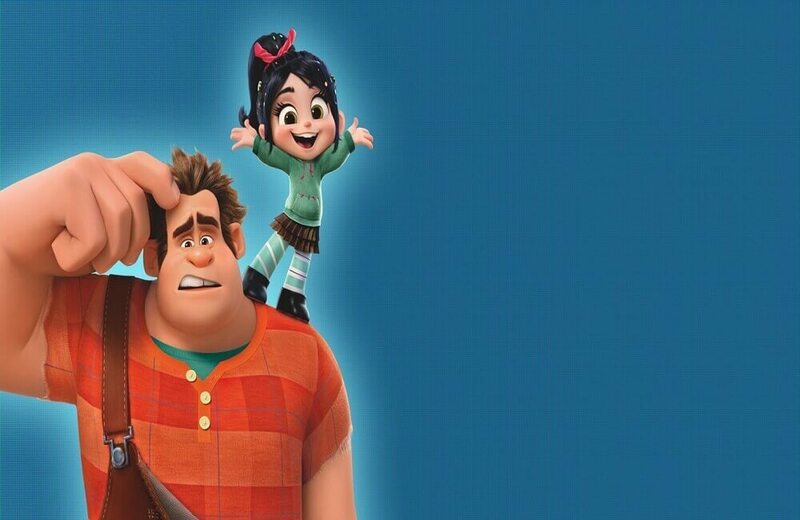 Both Ralph and Vanellope look extremely happy, which suggest that they have cracked some code. Meet the hero of this movie, Ralph, the warm hearted bad guy in the video game, Fix-It Felix, Jr. Ralph’s motive in life is to become a hero, which he eventually becomes by the end of the first movie. In this movie, Ralph enters into the world of internet to save the inhabitants of “Sugar Rush” from danger. Here’s a coloring sheet of Shank, the sassy and talented driver from an online racing game, named Slaughter Race. In the game, this tough character is accompanied by her crew, which helps her in the race. In the movie, Shank develops a sisterly relationship with Vanellope, primarily because the latter also has an extreme love for racing. 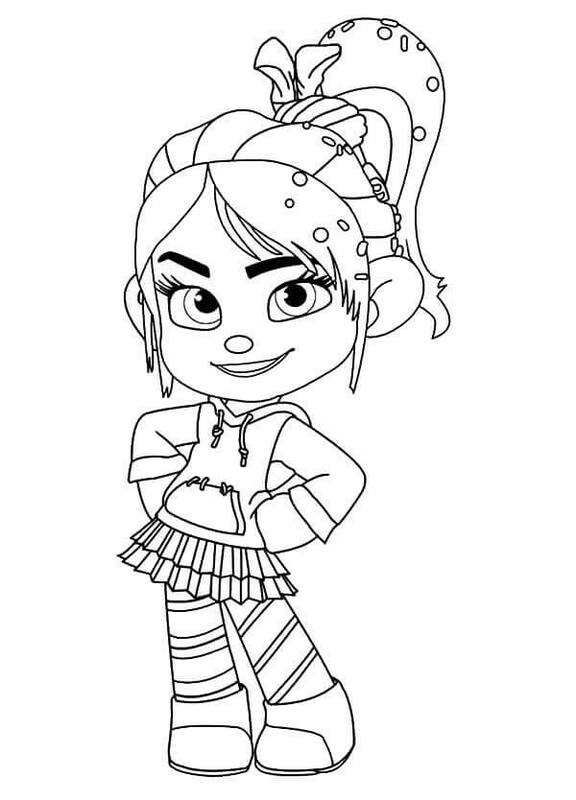 Here’s a coloring sheet of the adorable Vanellope von Schweetz, the second lead of this film and its prequel, Wreck- It Ralph. Vanellope is the sharp-tongued princess of Sugar Rush, who was turned into a glitch and has no memories of her past. In this journey, Vanellope befriends the Disney princess and even joins them. The coloring pictures feature Yesss, the woman in charge or in complex terms, the head algorithm of the famous and trendy website, BuzzzTube. Yesss is a digital trendsetter with a unique ability to change her look according to the latest trends. In the movie, Yesss guides both Ralph and Vanellope throughout the internet, a foreign world to the duo and even assists them to save the arcade game. Looks like she’s busy creating content for her website in this coloring picture. 21st November is just a few days away. 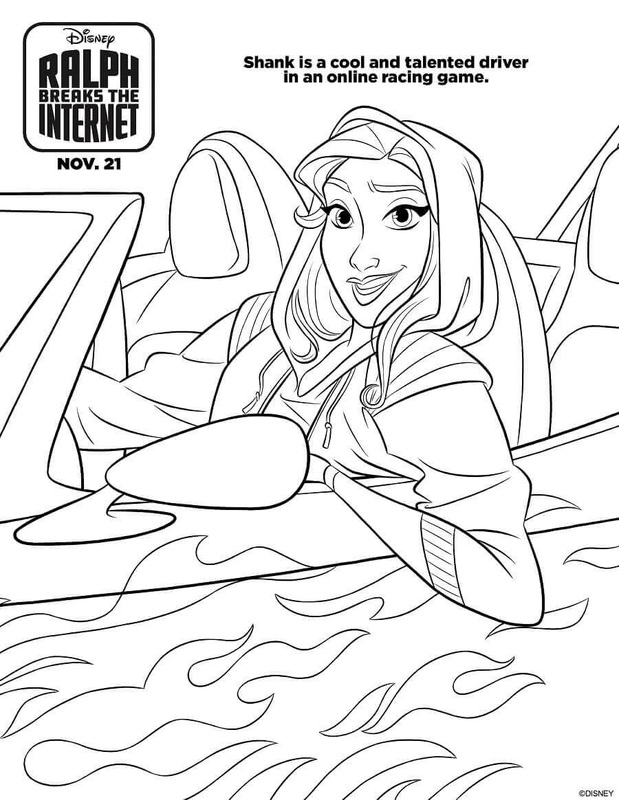 So until then, these Ralph Breaks the Internet coloring pictures to print will definitely keep you occupied. We’d be updating this article with more Ralph Breaks the Internet coloring images in the coming days. So stay tuned!